This kit contains all parts needed to convert power steering to manual. The rack and pinion features polished aluminum housings and a chrome center tube. 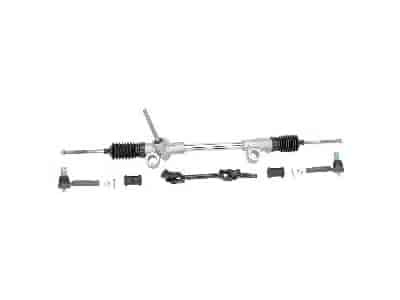 The kit features a precision steering shaft, outer tie rod ends and mounting bushings. Does Unisteer 8000360 fit your vehicle?